Navigating the holidays can be pretty stressful with the constant temptation from seasonal sweets and cocktails. However, staying on a relatively healthy track is possible if you're prepared. 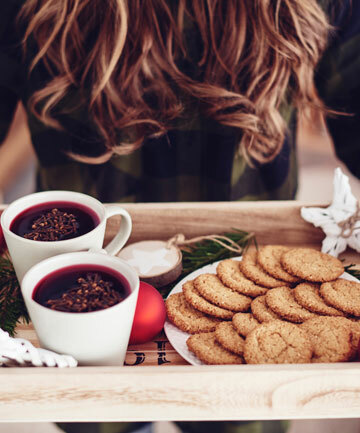 To help you survive the sugar and calorie spikes all December long, we spoke to a handful of dietitians about all the things you can eat to ensure that your health goals aren't sabotaged. Read on for some foods and helpful tips they recommend to help you stay on track this season.